Floors are often neglected spaces, but they are an essential part of workday safety and productivity. For providing value and strength to your floors, you might want to consider epoxy coatings. An epoxy floor is easy to clean. A smooth textured coating can be simply air blown, or broom swept to get rid of dust and dirt. There is also no concern of dirt and grime build up in small crevices. It is very easy to mop away these, and if there are drains, the epoxy surface can be sprayed away with a pressure washer or water hose. Degreasers can be used to clear any big mess. The non-porous base surface does not allow the penetration of oils or other liquids. One great benefit of the epoxy coating is its durability. Epoxy is a combination of hardeners and resins. When applied to a porous or textured surface, the epoxy bonds directly to the substrate. The process makes the base more durable. It can now stand up to much higher weights. When maintained properly, the epoxy coated floor can last for many years, without cracking or peeling. No other concrete overlay is as attractive as an epoxy coating. Epoxy coatings on floors look really sharp. There exist wide choices of colours and decorative patterns that can complement any design. Look out for ‘before and after’ photos to judge the impact. A realised benefit of epoxy coating is its stain and chemical resistance properties. The corrosive chemicals like antifreeze, oil, brake fluid, and gasoline can be cleaned easily without impacting the aesthetics of the flooring. Additionally, epoxy coatings can be regularly exposed to chemicals and still maintain their composure and colour. Epoxy coated floors are not only fire and heat resistant but also slip resistant. Many commercial applications benefit from using epoxy concrete floor finishes designating safety zones, material handling areas or safe walkways. The other commercial applications have used an epoxy coating to identify bay parking outlines and vehicle driveways. There are numerous safety benefits and priceless pay-offs. Epoxy floors are incredibly functional. Manufacturing plants use these to designate special areas and inventory of parts. For instance, automotive shops decorate their floors to define tool locations, tire placements, and parts placements. This enhances productivity as all workers know where exactly what is placed. Warehouses use variations in epoxy colour to identify loading zones and shipment staging areas. Epoxy coating is much more cost-effective than other kinds. With regard to the initial investment, standard unfinished concrete is perhaps the cheapest way. But concrete is tough to maintain because of the need to remove abrasions, stains, water sealants, and potential accidents. Wood or tile floors look good, but the initial investment is heavy. As regards epoxy coating, there are no broken tiles, no grout, no broken or chipped wooden slats and no need for polishing and waxing. Epoxy coating is, undoubtedly, the best value for one’s dollar. Customers are attracted by how quickly the epoxy coating can be achieved. The process of application of epoxy coating can be completed quickly, which implies that residential or commercial space will suffer minimal disruption. The time is taken for an application simply depends on the size of the base and colour variations. Epoxy coatings reflect a lot of light often enhancing the brightness of space by 300%. White colour has the maximum impact in this regard. The sheen makes it easy to detect pests, unwelcome objects, dried liquids, spills, and debris. 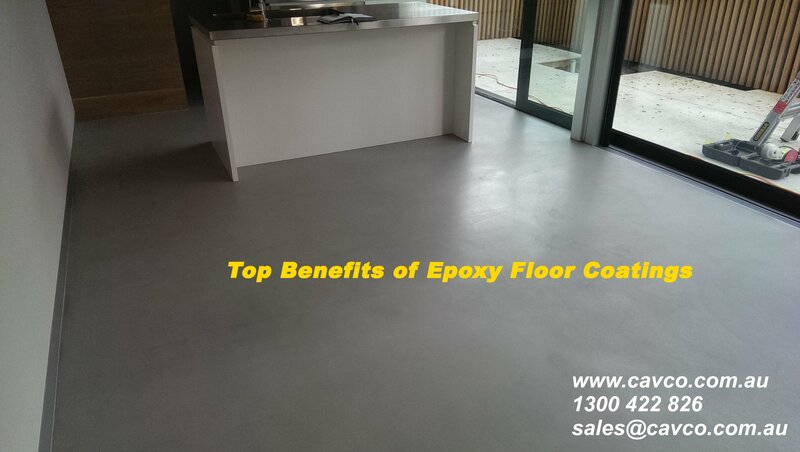 These are some of the benefits of epoxy coating of concrete floors.